Since RSForm!Pro version 1.51 contains substantial modifications, all RSForm!Pro plugins and modules will be disabled after updating the component. 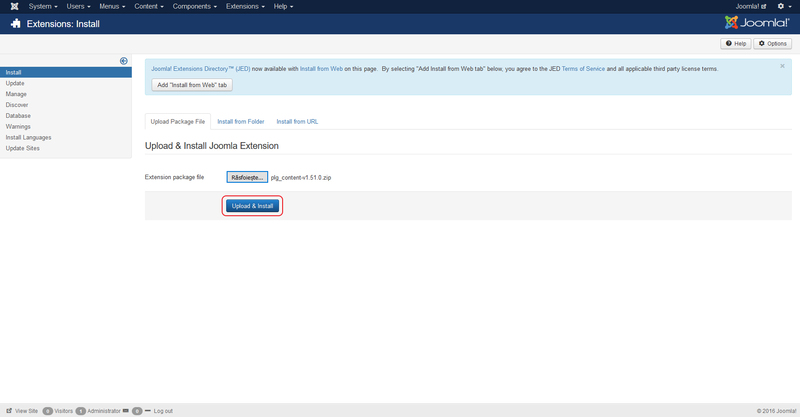 Head to Extensions > Manage > Browse for the newly downloaded plugin/module and click on the "Upload and Install" button. Installing the latest version over the existing one will act as an update. 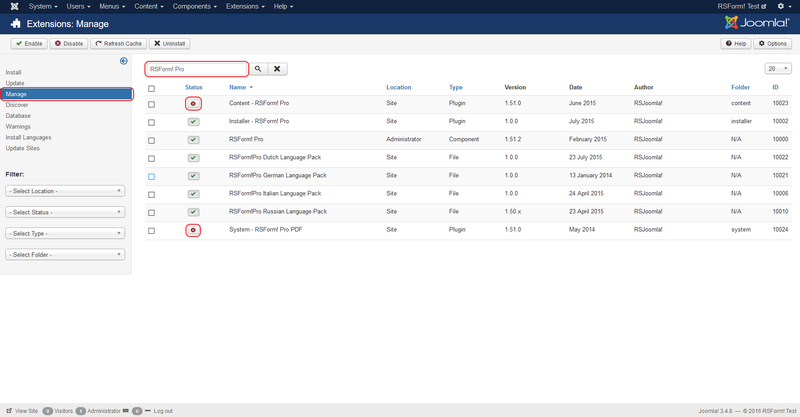 After updating the plugins/modules head to Extensions > Manage > Manage tab > Search for "RSForm! Pro"